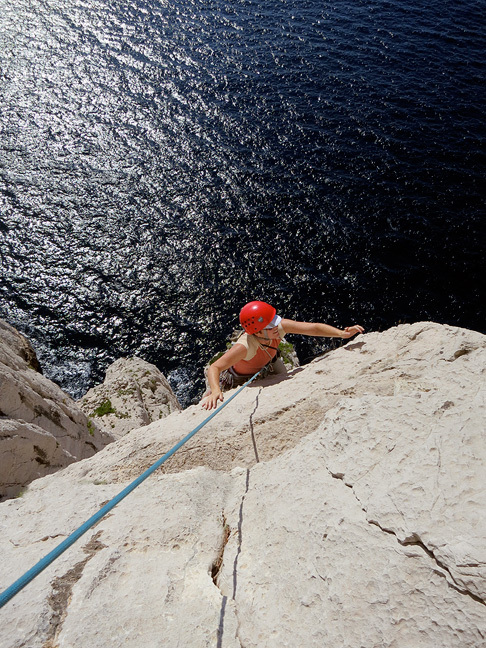 The Calanques, a series of dazzling white limestone headlands and fiord-like inlets notched deeply into the French Mediterranean coast, have long been a mecca for rock climbers. 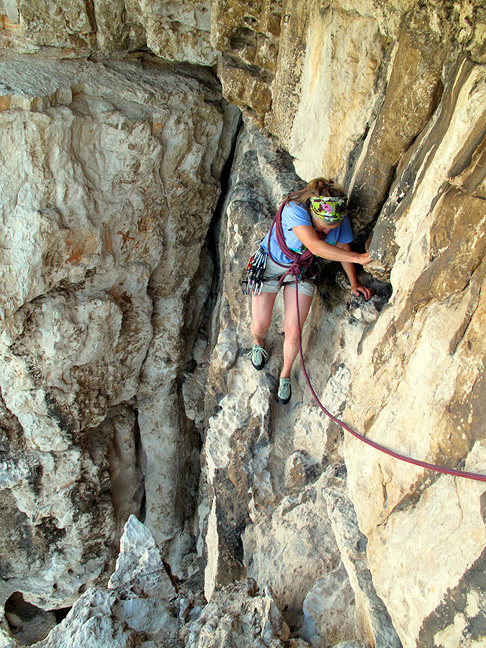 The climbing itself is varied, challenging, and aesthetic, with thousands of routes at all levels, among dozens of sites, all on some of the most beautiful rock you'll see anywhere. 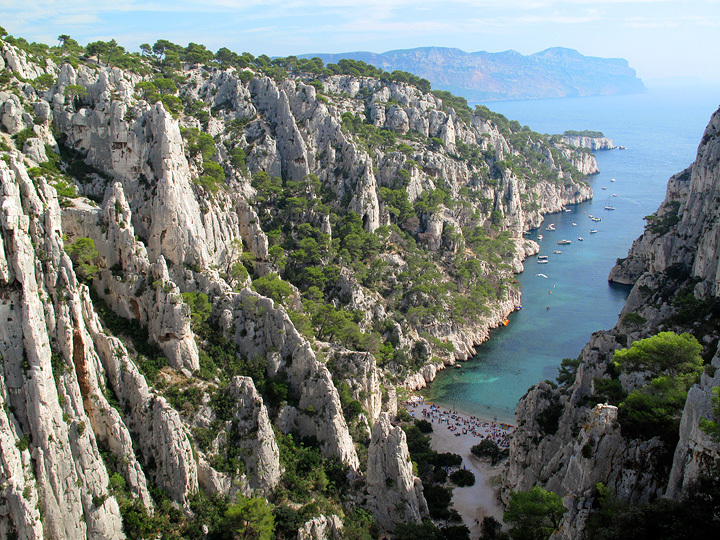 But what intensifies the enjoyment of every day spent in the Calanques, is its uniquely grandiose setting of soaring cliffs plunging into an intensely blue sea, white sands brightening the water to that color which literally gives this stretch of coastline, the Côte d'Azure, its name. You can (and definitely should!) 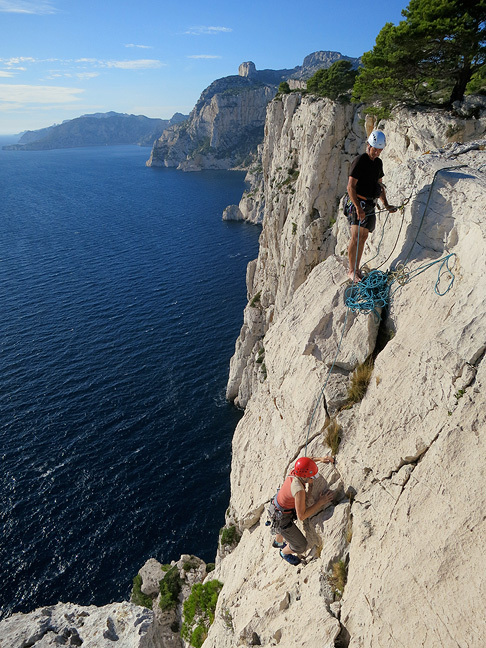 alternate climbing days with snorkeling, diving, sea kayaking, sailing, swimming, winery trolling, or just grazing among the many fine restaurants that crowd the narrow cobbled streets of Cassis, a charming fishing village and a natural base for visitors. 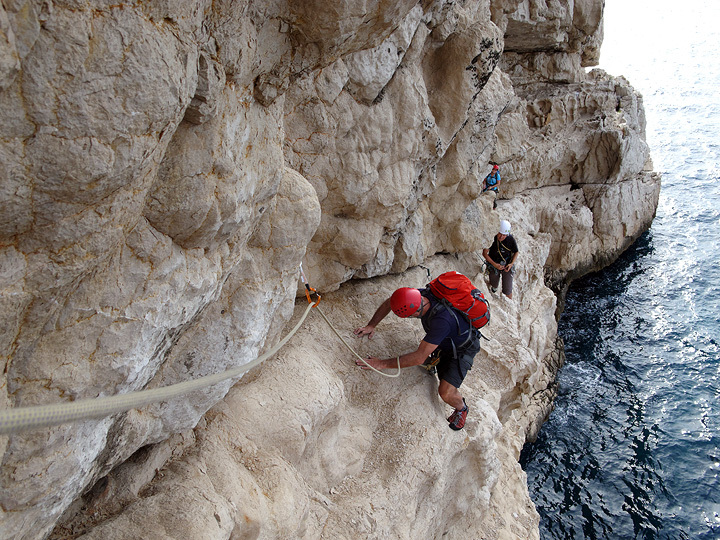 Like climbing and skiing in the Alps, a trip to this area offers the classic European recipe for a perfect active vacation: the contrast and combination of great physical effort with all the elements of relaxation: fine food, seaside resort luxury, and in this case at least, a warm, mellow climate. 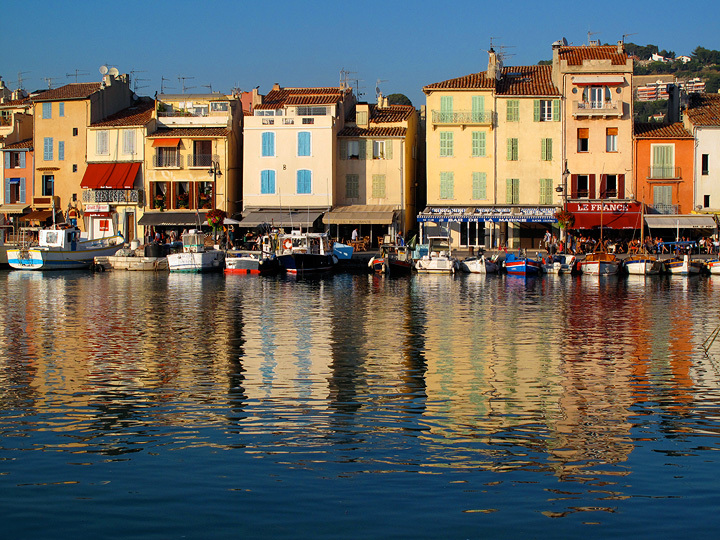 Lodging options in Cassis cater to all budgets and run the gamut from luxury resort hotels, to friendly and comfortable quality B&Bs, to "luxury" car camping whose full range of services include wifi, laundry machines, warm showers, and an on-site restaurant/bar. 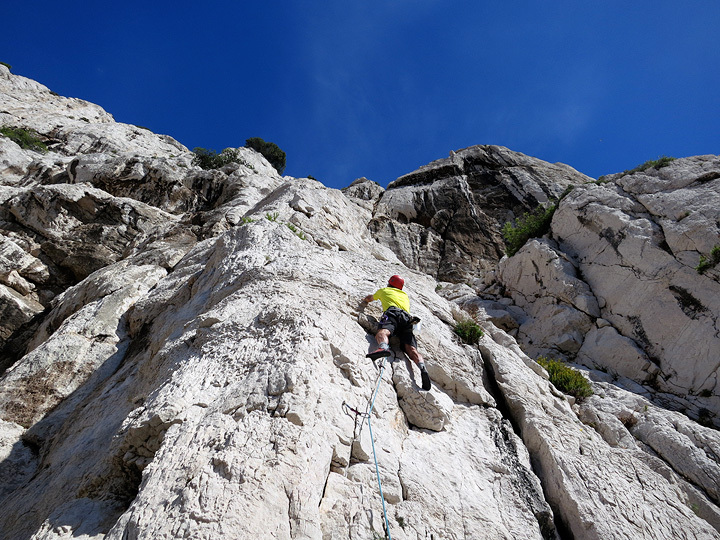 You can get to Cassis by train or bus from various entry points in France and elsewhere, however a rental car is helpful for getting around between the various climbing areas. 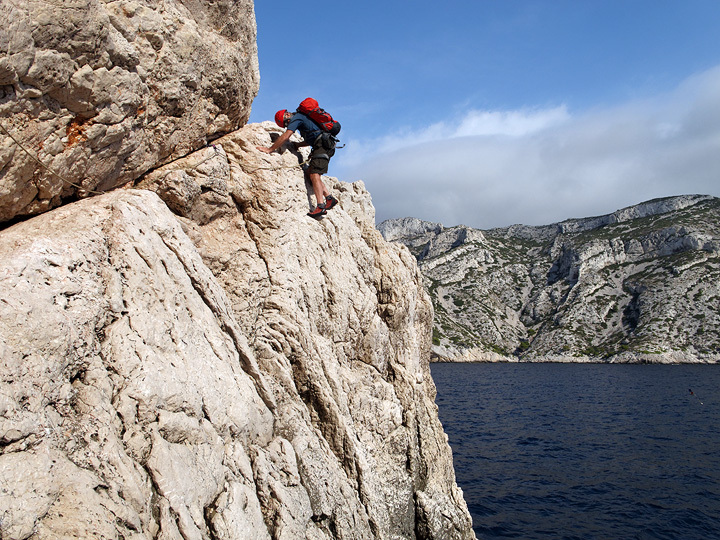 A trip to the Calanques could be of any length, from one day to a month! 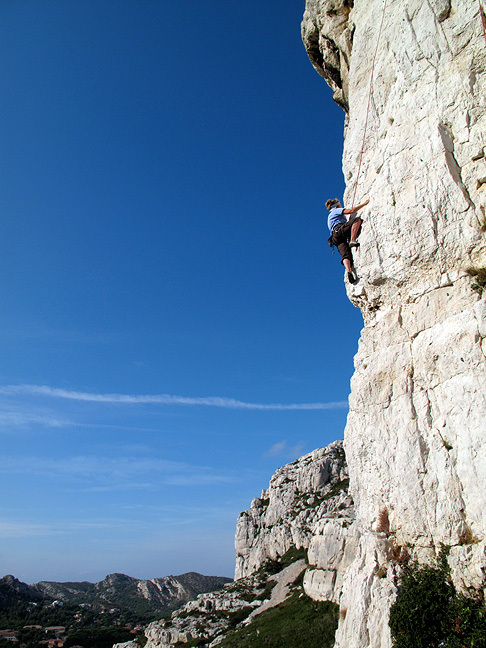 We would recommend a minimum of 5 days however, to enjoy several climbing sites and to get into the pace of life in this gorgeous part of France. 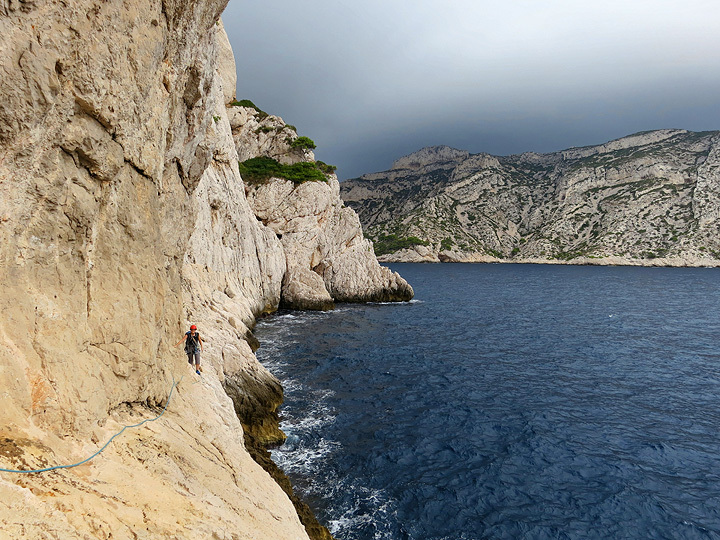 Recommended seasons for climbing in the Calanques are in the Fall (warmer water!) or Spring. 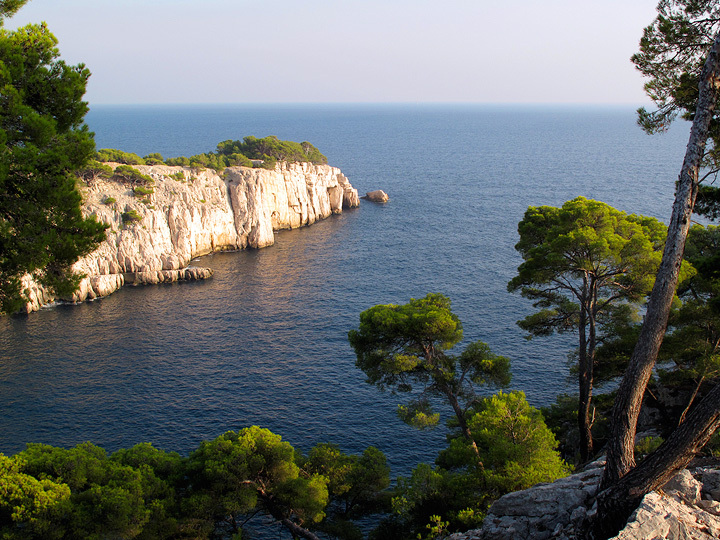 In the summer, much of the area is closed off to sports and tourism due to fire risk. 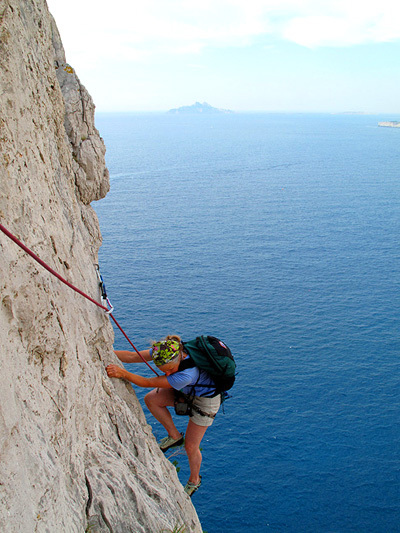 In any case the temperatures are really too hot for climbing in the summer. 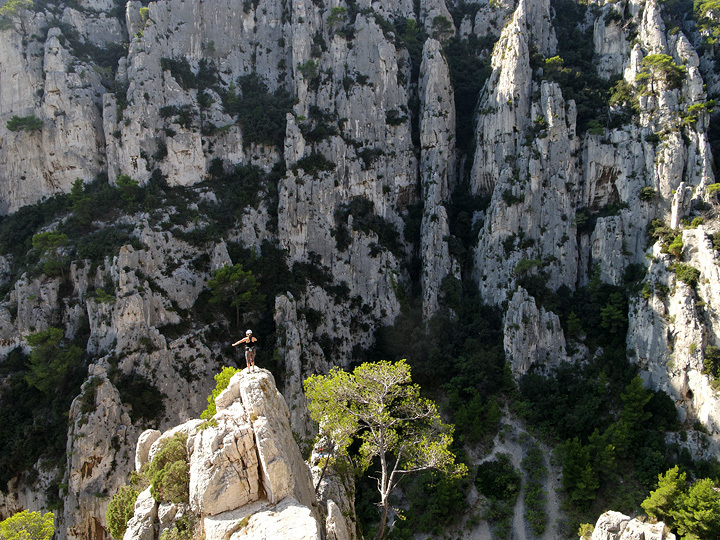 Our preferred time to visit is October and early November, after our Alpine season has finished, and as the autumn chill begins to set in at home. 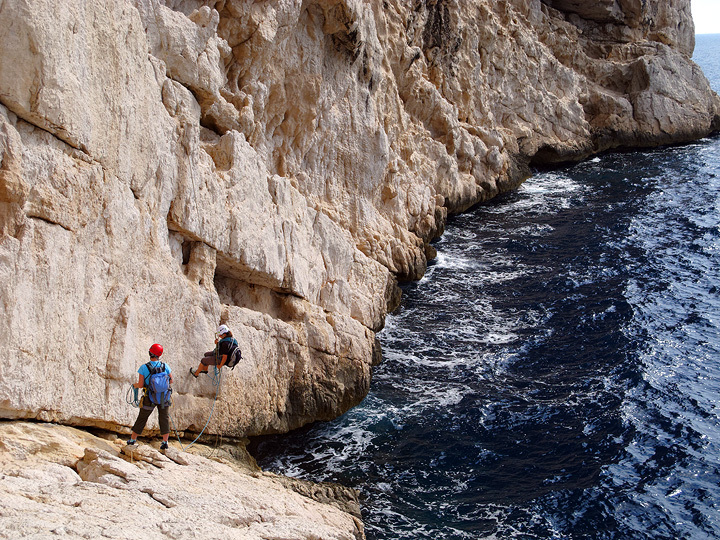 There are climbs for all levels here, from beginner to expert. 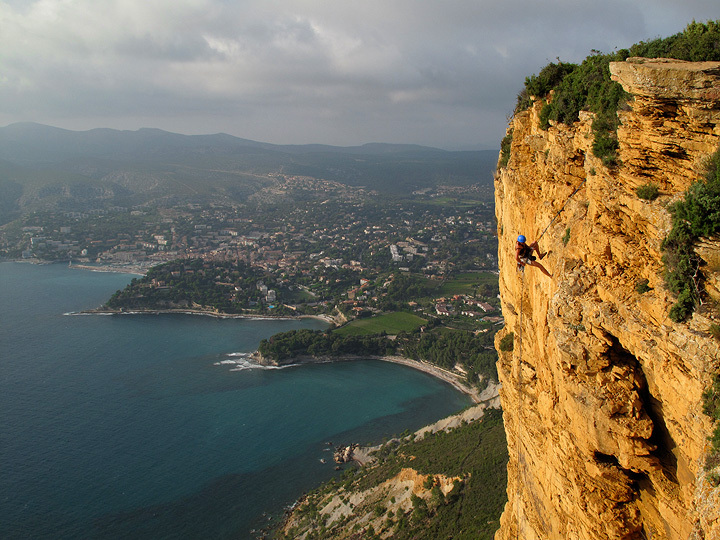 Many cliffs are still being developed by French climbing organizations, and modern bolts and belay anchors abound both on the "new" routes, and retro-equipped on many of the older, "classic" climbs originally put up by local climbers from Marseille including Gaston Rébuffat! 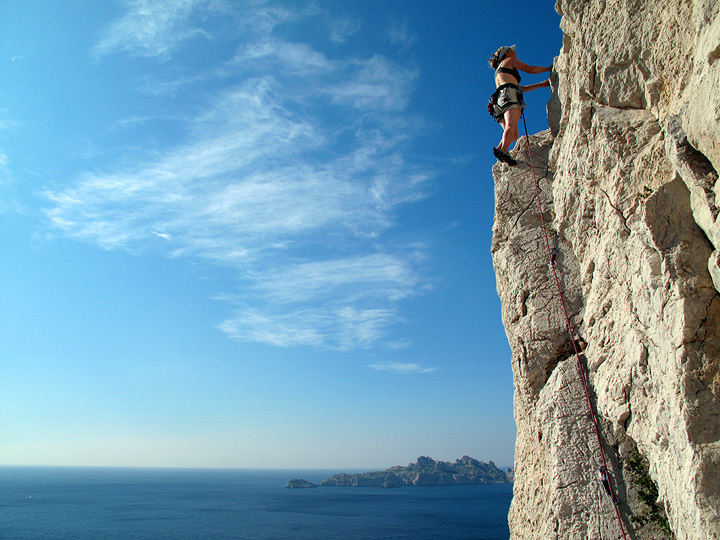 It is true that this area holds possibilities for all levels of experience and ambition. 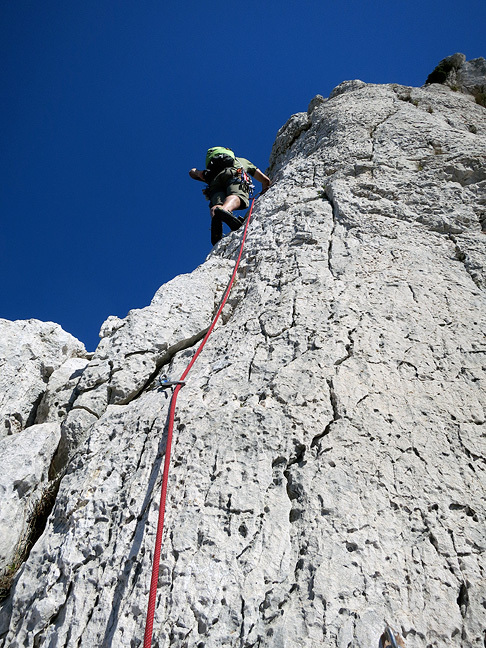 You should be reasonably fit, as some of the climbing sites involve hiking for as much as an hour or more (though others are also within moments of a car park! 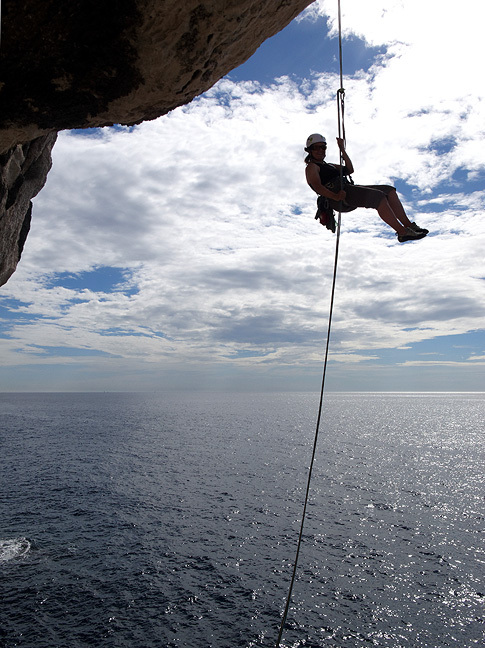 ), but it is not necessary to have previous rock climbing experience, as there are suitable areas for beginners. 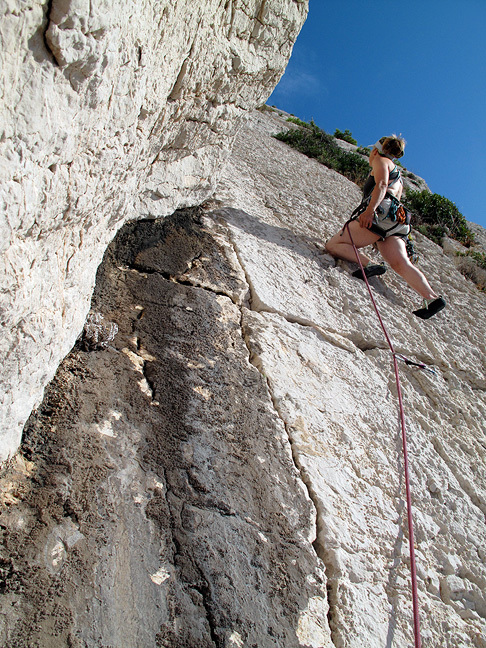 Climbing on the Bec de Sormiou, Dièdre Guem (3c). 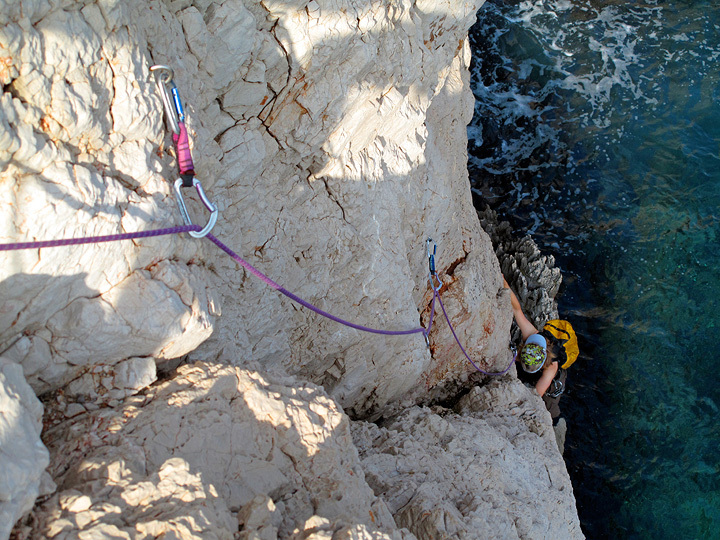 The Traversée de la Voile, Morgiou.